Here we are! Woohoo!!! Our promotional zone is February 1-11. I have enclosed graphics and text to make it easy peasy to share with your followers. Please be sure and style it up the way you write so your people feel you. We have beautiful graphics so share them in your emails and when you share on social media. Let's make this an AMAZING event! 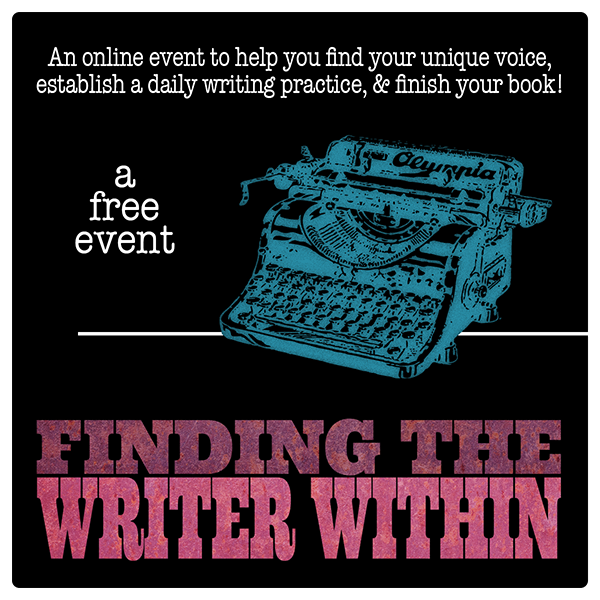 ​I’m going to the Finding the Writer Within Online Event, and I want you to come too. We’ll be doing Art + Journaling + Writing Exercises + Mini Workshop sessions on topics from outlining your work, creating diverse characters, book promotion, and everything in between. Sessions are led by world-renowned artists, teachers, speakers, and authors from all over the country (including me). It is easy to come along. You don’t need to pack a bag, travel halfway around the world, find a sitter for your kids (or pets), or even leave your home. You get a writer's retreat that will fit around your schedule and best of all, it is my gift to you. It doesn’t cost you a dime.